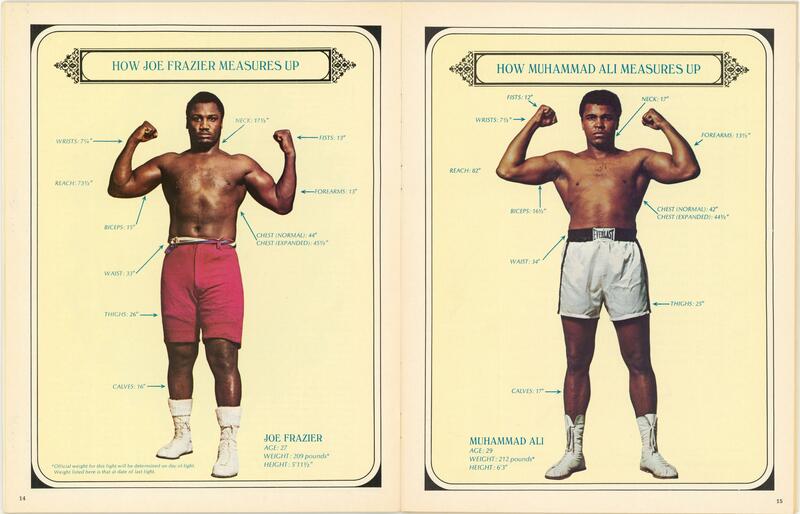 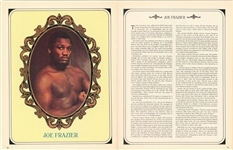 Lot Detail - 1971 Joe Frazier vs Muhammad Ali Fight Program from 3/8/1971 "The Fight of the Century"
1971 Joe Frazier vs Muhammad Ali Fight Program from 3/8/1971 "The Fight of the Century"
Offered here is a program from Muhammad Ali and Joe Frazier’s legendary 1971 fight. 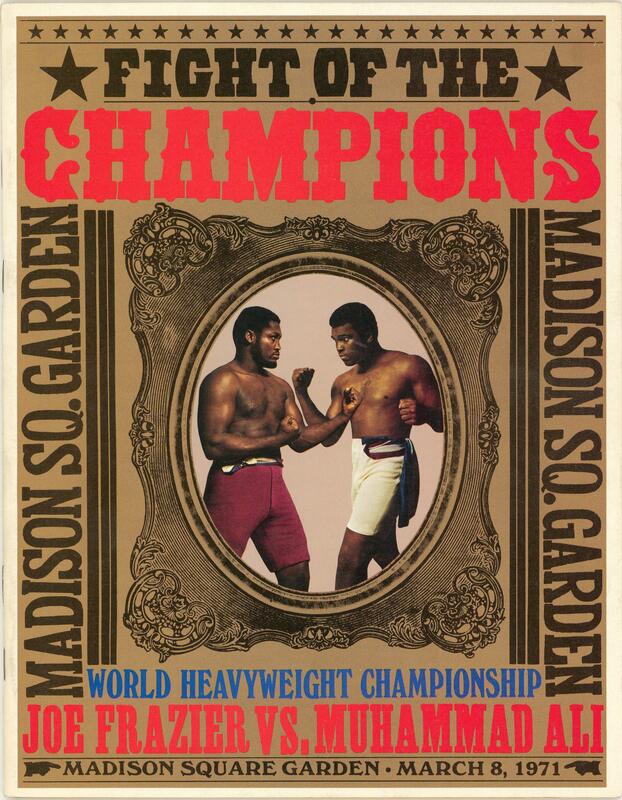 Billed as “The Fight of the Century”, this was the first heavyweight championship bout between a pair of undefeated fighters. 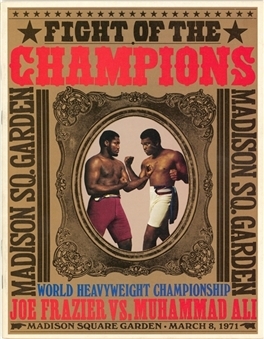 The fight was held at Madison Square Garden, the only venue suitable for this titanic clash, and ended with Frazier the victor via unanimous decision after a grueling 15-round slugfest. 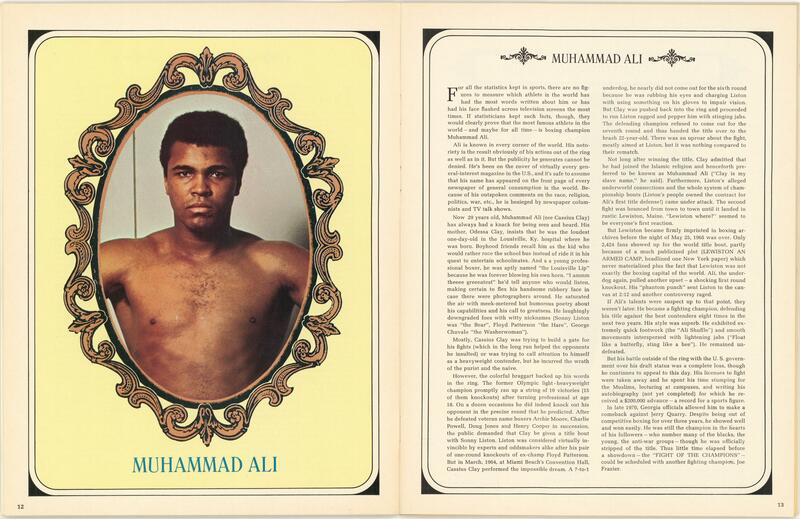 This program is unscored and in excellent condition, with all of the pages still attached to the binding. 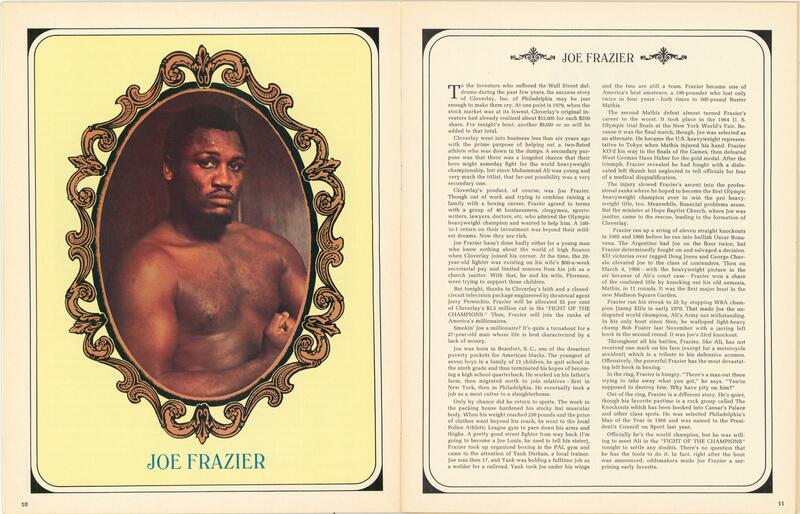 A terrific relic from one of the most important boxing matches of the 20th century.